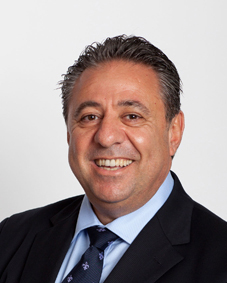 Jeff Schembri leads SFC using the principles, practices and expertise he has honed through 37 years’ experience in the finance and banking industries. His previous experience includes senior executive leadership, particularly in credit and business/corporate relationship banking, which presents a particular client benefit for insider knowledge of the mechanics and processes within the finance and banking industries. It also means that clients can tap into his vast industry networks within many banking and financial institutions. Strategic review/consultation for clients, businesses, corporations and clubs in distressed or difficult financial conditions and where help is most needed to re-open the lines of communication and negotiate options and/or new terms with financiers. Jeff’s record of achievement for individual clients, as well as on complex proposals and programs, speaks highly to his capacity to innovate on the technical front, while breaking down communication barriers that have previously separated clients, financiers and banking institutions. “We were working in a landmark development project costing in excess of $140M and decided to “approach the market” for options on our financing and funding structures. The challenge was we lacked the in-house resources and expertise to get good processes in place to support this. Luckily, we followed up a referral to SFC Group and Jeff Schembri was able to help us implement and maintain a tight EOI process. There was a plan and a process to support every milestone we needed to reach, starting from the preliminary discussions with Banks, site visits, full assessment of funding proposals through to, multiple rounds of presentations, shortlisting proposals, Management reporting and preparing recommendations to the Board. “It was always going to be a daunting task to re-negotiate with our incumbent bank but we were adamant about improving on existing financing and services. Part of that was understanding what criteria the bank was really looking for and without Jeff’s help to enlighten us, we wouldn’t have seen much movement. Instead, he began negotiations on our behalf and was able to get the right information in front of the bank that convinced them to change the funding structure and pricing model, resulting in immediate savings for us in the vicinity of $130K per annum. “It was no easy feat to find financing for a syndicated client working within a complex structure and challenged with a higher risk profile as a result. What’s more, there was immense investor pressure to prove the client’s project remained viable and had great potential for returns. That’s why the meeting with SFC was a turnkey event in my mind. “We were referred to Jeff by another broker who thought that our unique situation and business model required a more experienced commercial broker. We connected with Jeff from our first meeting. He listened intently to our current situation and our requirements; more importantly he wanted to know about our future plans and aspirations. After performing due diligence, Jeff quickly found the right financing partner and worked with them to structure a loan for us that met our requirements. Due to his deep industry knowledge, experience and connections, Jeff was able to quickly work through the loan process. As a result, we were able to significantly reduce our interest rate, thereby reducing our overall borrowing costs immediately. There is a very good reason why Jeff has been selected and awarded The 2017 MFAA Industry Award for NSW / ACT and NATIONAL Commercial Broker of the Year – he’s the best at structuring commercial loans for business owners like us. General Manager – The Brisbane Golf Club Inc.
“We have been clients of our current bank for nearly 100 years and wanted to ensure that we were being provided with the best funding lines, structure and pricing available in the market. Jeff Schembri (SFC Group) was introduced to us and we decided to engage his services as our Finance Representative to undertake a review of the Group Finances and Funding Lines. The Review incorporated a thorough assessment of our Results, Forecasts, Budgets, Funding Structures, etc resulting in significant deficiencies and opportunities of improvement being identified. The Group Executive and Committee subsequently agreed with Jeff’s Report and Recommendations, that in order to achieve the most competitive offerings, our best strategy would be to undertake an EOI Process amongst the Banking and Finance Sector. Jeff coordinated the entire process amongst 5 Banks in addition to extending an invitation to our incumbent bank to participate and requiring them to fully review their existing offering. The outcome by far exceeded all of our initial expectations, resulting in a restructure of the Groups funding lines, incorporating an increase in facilities, to accommodate our future strategic plans, plus an overall reduction in our interest rate / margins by 3.25% p.a. “In 2014, we were faced with some very tight timelines and funding requirements due to a severe “Black Frost” which destroyed the entire crop of 400 tonnes at our 53 hectare vineyard. In order to retain key personnel and meet wine production needs, with no revenue available from the prior year’s sales, we needed to engage with our financiers to ensure that they had a full understanding of our position and gain their support for the tough period ahead. We needed to urgently commence with pruning and all the required activities in preparation for the following year’s harvest. The early season activities are time-critical and expensive. We were referred to, and engaged, Jeff Schembri, Schembri Financial Consulting Pty Ltd, to act as our Finance Representative in this urgent and vital process. Jeff immediately reviewed our position and set about opening the lines of communication with our existing Bankers. He soon discovered that our business wasn’t placed with the appropriate segment and, through his connections, set about negotiating a transfer to the correct area. Within a very short time he had meetings with the Executive of the Agri-Business Platform who in turn started communicating with us and arranged to have the relationship transferred to the appropriate bankers within his team. The review was undertaken in conjunction with Jeff and our submission for increased funding to accommodate our needs was submitted. Jeff also provided his submission in support of the funding request and having a strong reputation in the Credit Area provided additional leverage and comfort to our Bank. Given the negative attitudes of most lending institutions to vineyard loans at that time, these negotiations needed to be handled with expertise and finesse. Jeff was extremely capable in leading the discussions on our behalf with the bank, in a manner which provided them with comfort that we were developing a sound business strategy to overcome the distress that the “Black Frost” had caused to our business. The outcome was that Jeff was able to negotiate and obtain the support from the Bank for “double” the level that we had originally sought and felt was our minimum requirement. This then enabled us to prune and operate a significantly greater area, substantially increase our crop and shorten the timeframe that we anticipated it would take to reach maximum capacity. Jeff worked tirelessly on our behalf and negotiated very attractive rates and minimum fees for the increase (0.1% Establishment Fee), as we were anticipating being charged significantly greater given the amount of work involved in formulating this submission.